"I was interested in Julia's program and so thought it would be fun to sign up 2 months ago. The response has been phenomenal - In two months I have coached 52 new people and taken on 7 new paying clients. On top of this there are 36 trial sessions already booked in my schedule for the next month and new ones come in every day." "If you're a new coach looking for the most supportive, least expensive way to dive in, I suggest you run, don't walk to join the ECP. This is the genuine article, folks. There are zillions (well at least hundreds) of programs out that that purport to help you jump start your coaching career. But as far as I know, there is none that offers the value, tools and ongoing enthusiastic help of Julia's program. Let's face it. Julia isn't going to snag clients for you. But if you're committed, you can easily coach 100 clients in two years (I did it in nine months). Perhaps more importantly, by doing so, you'll gain the confidence to stop talking about coaching and start doing it. When you're serious about getting experience and clients and tired of the overblown, empty promises other programs make, you're ready to hop on board the Coach 100 express!" "I wanted to tell you what terrific value I received from the pre-class notes for yesterday's session - Simply going through your suggested structure regarding time management in particular, was very revealing for me. No wonder I am feeling frustrated with not getting to finalizing my website and launching it...and numerous other things - my days are packed full already!! Ah, how helpful it truly is to have someone help us step back and take a look at the big picture of our lives!! This benefit from identifying how much time I have and want to spend on my coaching business was HUGE!!! Thank YOU!" "Thanks, Julie -- and just to assure you that the Universe is Perfect, right after our (Coach 100) class on complimentary sessions, I opened an email from someone who had been my fourth Coach100 client and she referred three more people who would like complimentary sessions! woo-hoo!" "The lessons on business perspective guided me in our complex industry. Whether creating a web presence, shaping my IP, or leveraging 'collegial angels' I know that Julia has walked her talk. "You've delivered a turn-key solution to the new coach's dilemma of how to fill a coaching practice. It tackles the trifecta that guarantees a successful coaching business: coaching experience, eager coaching clients and coaching feedback to fine tune your skills. This simple, yet elegant, program includes all the resources and technology to build your coaching expertise. Coaching is the best marketing method!" Do You Have a Question About Coach 100 Pro? How will Coach 100 fill your coaching business with paying clients? Thousands of new business and life coaches enter this competitive profession each year. And hundreds of entrepreneurs and internet marketers know that new coaches need clients, so selling client attraction programs to new coaches is a booming business. But who makes money on those programs? What really works? Who can you trust to help you succeed as a coach? Coach 100 was inspired by the legendary Founder of the Coaching Profession, Thomas Leonard, who was beloved by thousands for his genius and integrity. Thomas was right about Coach 100! 100% of coaches who complete the Coach 100 process get coaching clients. 87% have full coaching practices, some in as little as three months! If you're a brand-new coach with no business experience, it may take six months or more. The problem is everything else takes longer! Coach 100 leverages the explosive power of big adventures and the viral power of word of mouth to create a marketing engine that brings clients to you, instead of you endlessly chasing them. 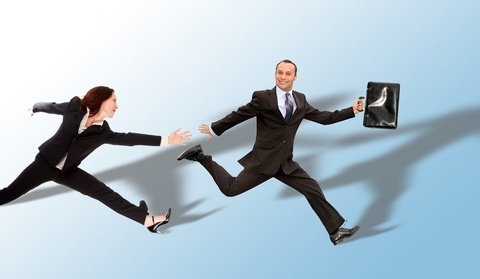 The more you chase, the faster potential clients disappear. Instead, be smart enough to use your strengths to attract ideal clients to you. Coach your way to success. This program is for you if you want to build your coaching business by COACHING instead of spending all your time on Sales & Marketing. Get the thrill of knowing that you're succeeding as a coach, with a full coaching practice and the solid income that goes with it! Simple! 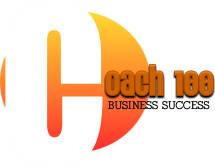 Build your coaching business by coaching. And build your confidence, skills, and value, all at the same time. In the classes, you'll learn how to find your first potential coaching clients and invite them to complimentary coaching sessions. The survey will also ask if that individual wants to continue working with you. If they say 'Yes', you've got a client! In addition, the survey requests testimonials, which boost your credibility with future potential clients. You'll also get referrals (So your clients do your marketing for you). Most people you coach will give testimonials and referrals with this survey. This system is a marketing engine that keeps adding more clients to your business! You really can make money doing what matters to you - as long as you use a system that works! This system has helped hundreds of coaches fill their businesses. 87% who finish have full coaching practices. It's an investment in your success and it will pay you back again and again. In fact, once you're awarded the CEC, you can KEEP your webpage and feedback system, if you want, even after your 2-year membership expires, for just $25 per month! Regular price of this proven 2-year program is $977USD. Save even more if you act quickly, below. So many so-called experts try to sell marketing programs to life and business coaches, but how many of them can say that 100% of coaches who complete their programs get paying clients - and 87% get full coaching practice? Join the Coach 100 Revolution Now! Our Value-Back Guarantee: If we don't deliver the value we promise, tell us right away and we'll make it right, period. Take up to 2-years to complete this business-building program (most do it in one year or less). It could be the best investment you ever make in yourself and your business! Still not sure? Read what real Coach 100 coaches, such as Dan Surface, have to say about their experiences. Then read what the experts (some of whom, also used this program to build their successful businesses) are saying about it. More testimonials about the effectiveness of Coach 100 fill the borders of this webpage. Pay with your credit or debit card or use your PayPal balance! Coaches in the USA may take up to 6 months to pay with Paypal's Bill Me Later! The most powerful Coach 100, yet! "If I gave you 100 One hundred dollar bills and asked you to give them away, how long do you think it would take you to give them out? Probably not long. Yet for those of us in the coach 100 program, we are giving out something far more valuable. We are GIVING AWAY a complimentary coaching session worth well over $100. that could change someone's life. We should have absolutely no sales reluctance while giving away these sessions. How can someone refuse spending 30-45 minutes with an expert who can help them with their goals and dreams and no sales pressure to buy anything. I'm on number 75, (18 new clients) and find I'm slowing down offering those $100. bills. "I am a member of Julia Stewart's first group of the Experienced Coach Program (Coach 100) and second coach to complete the program therefore becoming a Certified Experienced Coach by coaching 100 people. I highly recommend this program to coaches who want to get Certified and/or fill their practice. The Feedback Form your ECP client fills out is based on the 15 Proficiencies; therefore being a great learning tool to know which Proficiencies you are strong in and ones you need to work on. The program is also a great way to receive testimonials, referrals and paying clients. Through this experience I gained the knowledge and confidence needed to apply for and become a Coachville Certified Coach." "The ECP (Coach 100) is proving to be one of the most helpful and important parts of my coach training. Actually committing to coach 100 people in a specified time has given me confidence that I could not get from simply taking classes. This program has made the class work relevant and much more meaningful, so much so that I think the ECP should become a required part of the Schools of Coaching. Every coach, new or experienced, would benefit greatly." "As a somewhat "experienced coach", I will always want the camaraderie and support of working with a team / group. Life coaching is a dynamic and synergistic experience that I want to share with the world. Working with Julia in the Experienced Coach Program has been a gift - what a wonderful motivation to work with more and more new people, and have the benefit of the evaluations as an added benefit! I've gotten two new clients in just over a month with her program. Thanks, Julia." "Your programs are indeed a gift to the coaching world." "Julia Stewart is hands down an awesome teleclass leader! The space she provides for all of us is one that is always, open, authentic, challenging, intriguing, moving and inspiring. I have taken several of her teleclasses and have gotten so much out of them, they provide so much support and structure as well as creative techniques that open new opportunities while growing your practice. Taking Julia's classes has really allowed me to expand in ways that I never imagined in the area of my coaching career and my life. When working with Julia, there is a true warmth and space of feeling safe that allows for you to really stretch and expand in the area of expressing your thoughts, opinions and concerns. Taking Julia's classes are an absolute treat and must do and will truly add value to your life and your practice!"